"I was born and raised here. I'm a true Columbian. I love our town immensely. It is part of who I am. The reason why I'm addressing you this evening is because of the ongoing problems at our schools with lack of suspensions. I watched the video that has been circulated widely this past week of the altercation in the classroom. It is very shocking to me, to say the least, and very disturbing to me that even before the physical altercation took place just how out of control that classroom appeared to me. Example: Students walking around, cellphones out, sitting on desks. In plain words, they were basically doing whatever they felt like. That's what it appeared to me. "I witnessed firsthand, as I was employed at CHS for 21 years in the kitchen, prior to my retirement this school year. I've seen students throwing food at each other, teachers, co-workers, janitors, me, etc. I've seen students purposely make messes, be destructive, using foul and inappropriate language to myself, teachers, etc. Most of the time they were reported and written up, but the problem is most of the time they were never disciplined. In one such incident, I was personally threatened by a student, serving lunch I was, she said to me, 'I'll come back over that counter after you and I'll beat your m-f-ing a-s-s.' Guess what, this student was never written up or punished for this incident. Never. She was right back in there. In fact, she was never even taken out of the cafeteria that day. Never. I'm not so sure our teachers get the full support from the administration for handling these ongoing discipline problems. "Mr. Strickler, I read where you said that the reason they had their cellphones out was because they were turning them off before class. Well, I plead Dr. Hollister and yourself to take a trip up to the high school and see how many cellphones are being used other than in the cafeteria. I've seen it firsthand. "I really don't know what the solution is to these problems, but I hope we can all work as a community to make this a safe place for our students who want to learn and get a good education. In closing, there is an African proverb that says, 'It takes a village to raise a child.' Well, I guess that's what it takes." Discipline starts at home.The institution of the basic family in America is disappearing. Look around, the trash and filth on television. No wonder the children act as they do. Even the Saturday cartoons have violence in them. If they ate corrected, it seems laws are not enforced. America better wake up. It takes everyone to correct these problems. It will take time. Another real , honest , True Columbia person speaks out! It takes ethical leadership from people with integrity to make changes. Positive change is not possible without quality leadership. Poor leaders offer only superficial short term make believe changes, then turn their backs on the problem. There is an old saying that, "you can't win a thoroughbred horse race if the only thing you have to ride on is a jackass." Unethical behavior by some board members prevents positive change. We all know that student behavior must change. Discipline comes before learning. Quality leadership has a defined purpose and realistic goals. It never comes from self-serving individuals. Great job, Joni. Real Columbians' will not allow this debacle to continue. Was born and raised in Columbia and have been blessed to have had financial success through ethical business practices and great ethical employees. I would have immediately terminated any employee that even hinted at doing anything pervasive or unethical. Even though I do not live in Columbia any longer, I am a Columbia person through and through, and, being that Columbia person has served me well. The rapid deterioration of the high school, this whole Elanco situation, lack of transparency, and the unethical behavior of board members sited appears to be embarrassing and wrong in so many ways. I am trying to determine how I can help and if money is needed to follow through with any issue ending legal matters , maybe I can help in that way. Will continue to follow this site and phone friends that I still have in Columbia in order to further educate myself on this matter. Maybe, just maybe ,Hollister is starting to know what being from Columbia is all about. It is about pride. Pride is real . It is not just a slogan. Maybe he will even come to understand that "Go Tide " is not a cheer. IT'S WHO WE ARE, IT'S WHAT WE BELIEVE IN. THANKS JONI....WE ARE COLUMBIA...WE ARE NOT ELANCO. Hollister should have fired Strickler immediately after Fran's statements about his unethical behavior ,regarding Iris Garrido ,and Mike's questioning that ended in a quiet ,no sir, comment that is believed to be false. Pa. is a right to work State. An employer can fire an employee at any time without reason. Here there was ,and is, a reason. This problem is not unique to Columbia. The bottom line is school administrators walk on egg shells when dealing with disipline issues. In this day of ridiculous politically correctness they are afraid of being accused of anything ending in "ist" or "phobic". It may not be unique to Columbia but not ONE school is like this in the county. I get to go to quite a few of them. The students do as the like and the teachers have NO control over them AT ALL!!!!!! It is complete bedlam. The administrators should arrive unannounced and see for themselves. Come at lunch, changing of classes, heck come in to a classroom. You'll see exactly what was on that tape. The students were used to acting that way. You can tell it was common place. No discipline at home. Transients move in town, collecting food stamps ,welfare and pay no taxes. 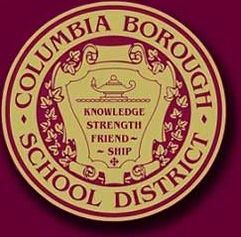 The kids that want to learn are paying for it.It is time I the true Columbians take charge. Heard that several board members and the doo were making fun of the people who spoke out and commented that ..these people will stop coming to the meetings soon and this will all settle down. This gets worse and worse. One board member sits with a continuous smirk on his face. Another totally pompous. Not hard to read their body language. If they were only that transparent otherwise. "Making fun" so still they are bullies, nothing short of amazing. Shameful, disgraceful, behavior. If the board and the director of what said that, they should be removed immediately.Being a past elected official,you got to take the heat from citizens. They elected you and have the right to voice their opinion,even though your thoughts may be different. It is arrogance. I doubt that any of them have experienced any of what the people commenting have gone through. Privileged, out of touch with reality, and we expect them to care. Nearly 70% of kids in this town live in poverty. The elected few cannot relate to that. Good Columbia people like Fran and Mike and Joni deserve our support. Mike was a marine! Adapt, innovate, and overcome! Help him . Strickler appeared to mock these good people. People who embellish their resumes' and omit negative aspects are cowards and attempt to hide from the truth. They use others to cover their tracks. Come to meetings. Add your support. End this corrupt takeover of our district that was designed over the last 4 years, for one person's personal gain, at our expense. I don't know what they have to smirk about. Their school is going down in flames and now it is widely known. They should be embarrassed not proud! If Strickler was smirking, he has nerve.For all the jobs and businesses he had ,I would hide my head. But then again, he created this job for now. Let's hope the board sees thru him and sends him to Career Link. I am sure this is exactly how they feel. No one, for the most part, attending school meetings. They have become accustomed to doing what they please. It seems they are having a hard time accepting the party is over! Man-up funny boys, who are making fun of good Columbia people. The days of empty school board meetings are a thing of the past!!!!! It was not Strickler smirking. In fact I was surprised at how stoic he remained during all the accusations. How do some of these board members walk around town I could not show my face. Convert the overblown ego's, arrogance, and narcissism of several board members and the doo...into dollar amounts. Should be enough to fund the district for at least 5 years. Probably longer. On this site today, we read about General Shannon , then end up reading about this Strickler person, and an out of control , unethical, school board that may be corrupt and engaging in back door activities. It is SAD how far your town has fallen. A FANTASY WHERE EVERYONE WINS! Little tommy and his group buy a lottery ticket. Upon winning ,they find that there are conditions to be met. They must all, as a group , agree to resign and leave town, never to return. Little tommy who ,of course, did not help buy the ticket convinces the group that he should be entitled to more than his share, borrows a tour bus ,and as an experienced driver and guide, leaves town, with the group, in the dark of the night, collects the winnings and he and his group proceed to a new town and take over a new school system. How did this sleazy unethical agreement get started? Who wrote this agreement and how was it hidden from the good board members? Why did the job posting not list the need for a degree in education? How was it slipped passed the good board members? What people ,at higher levels, are involved and to what extent? How can an entire district be manipulated by one person for his own personal gain after board members knew that he tried this 4 years ago and was denied? Did he include this first attempt and denial on his resume'? Is Hollister aware of this first attempt and its denial? Maybe that first attempt counts as a start up that made Hollister give him more money? Are some of those same board members present now that were on the board during his first attempt? Who are his helpers and where are their brains and their morals? How can anyone in their right mind hire a person with such a resume'? Lot's of questions that the board feels that they do not have to answer. Get ready, the questions will keep coming. Yes it is I have lived in this town for quite a few years not all my life but long enough to see how much this town has changed and not for the good so sad secret meeting school board and borough council and sure has been a lot of secret meeting about the new market manager and we all know who that is going to be done deal. And it continues to spiral. Parents are not innocent. Here I sit watching welfare mommy of three, case of beer in hand kids no where in site. Those who live in glass houses should know that they are seen for exactly what they are. Those faking a mental disability to collect SSI benefits so they don't have to work is worse than anyone that needs to be on welfare and you have the audacity to speak poorly of someone else? If you can't say something constructive about the topic at hand, please don't say anything at all. No one wants to hear about your personal vendettas!!! By the was it's "sight" not "site". a year from now...same director. different day.